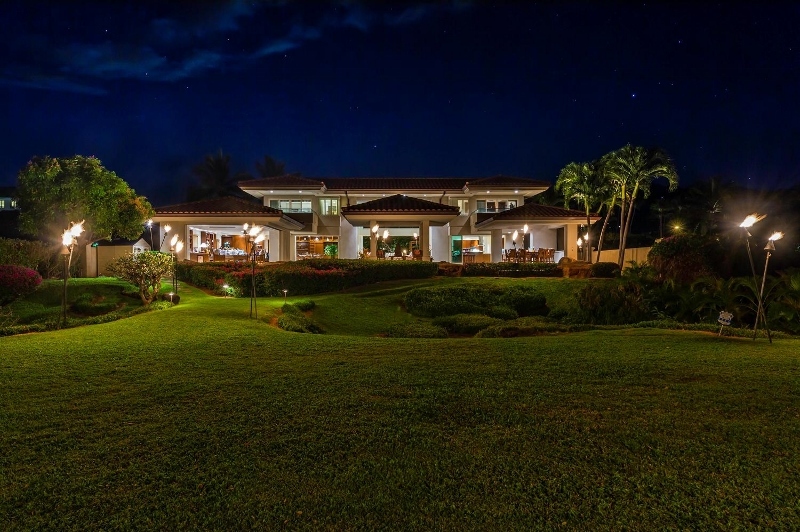 Kai Ala Estate – Luxury Vacation Homes, Inc. 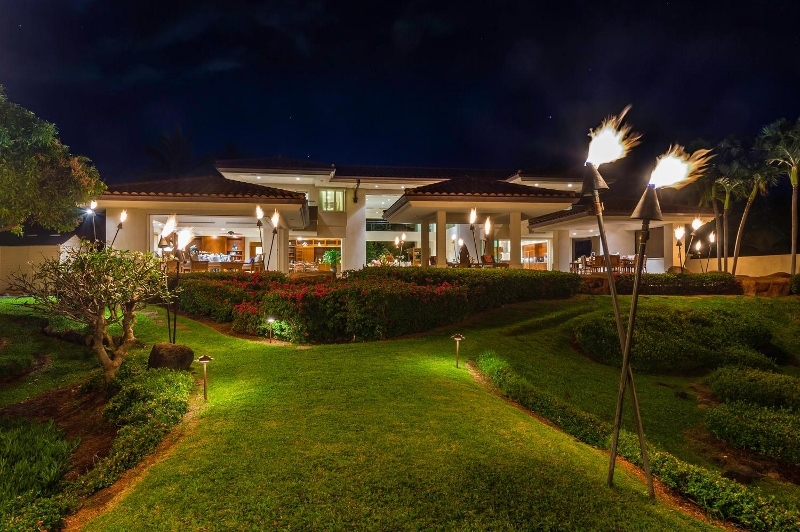 The Kai Ala Estate is a legal hotel-zoned beach front luxury vacation home. 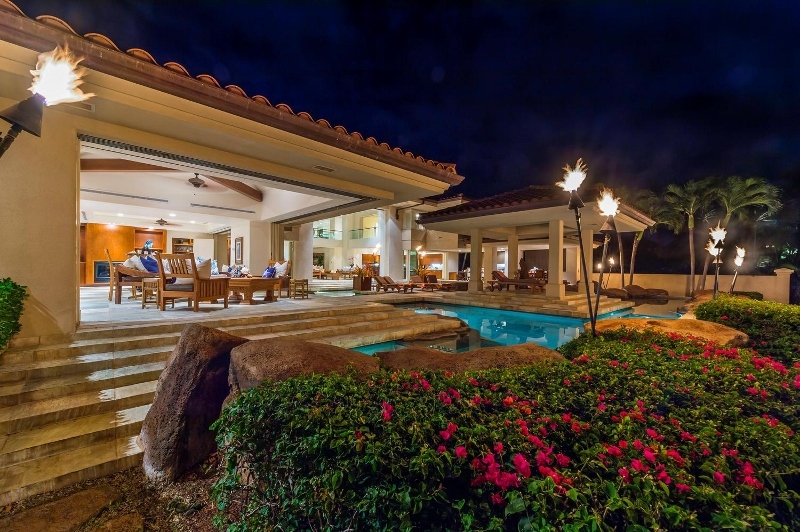 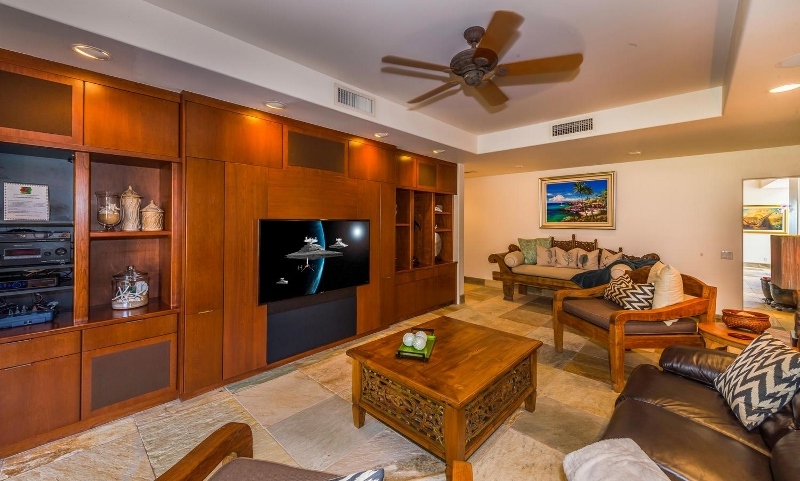 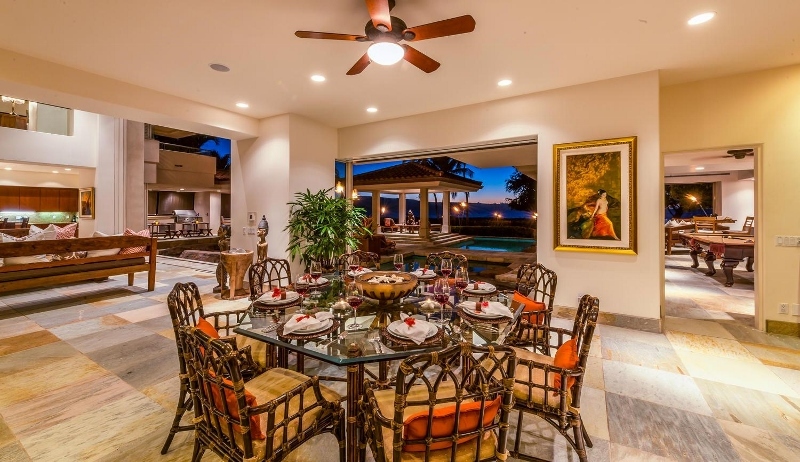 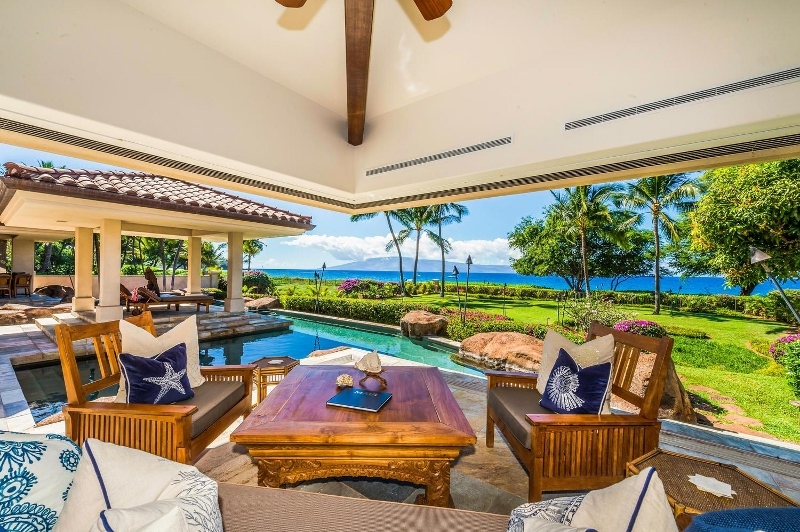 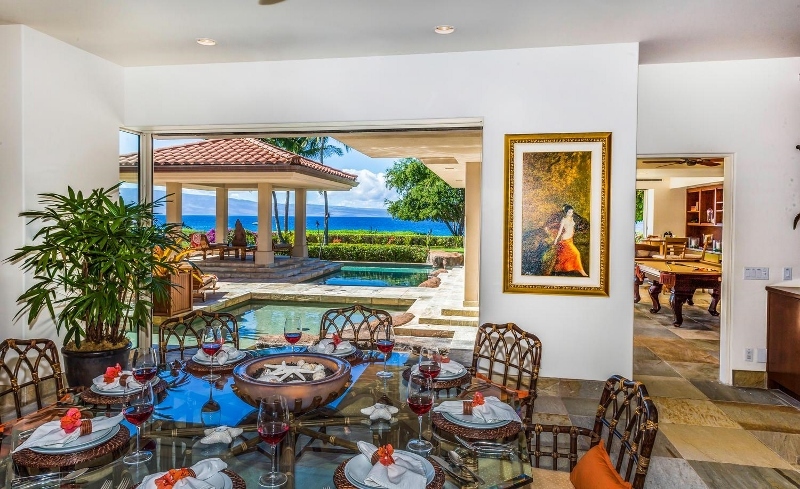 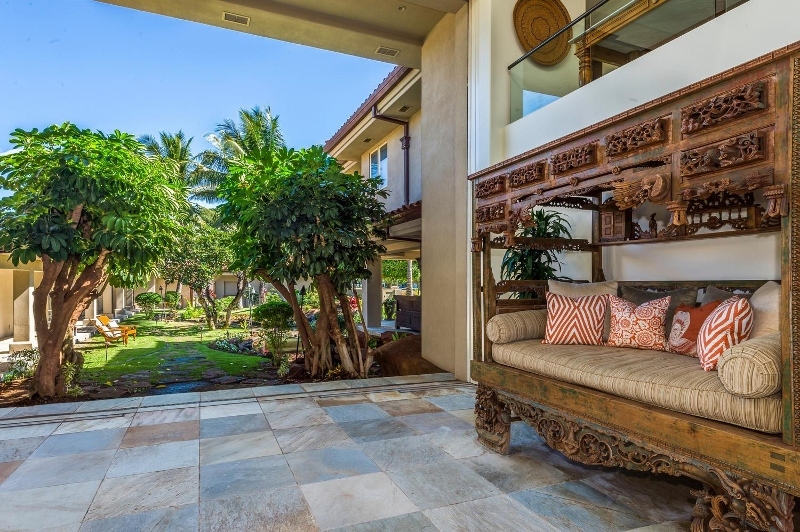 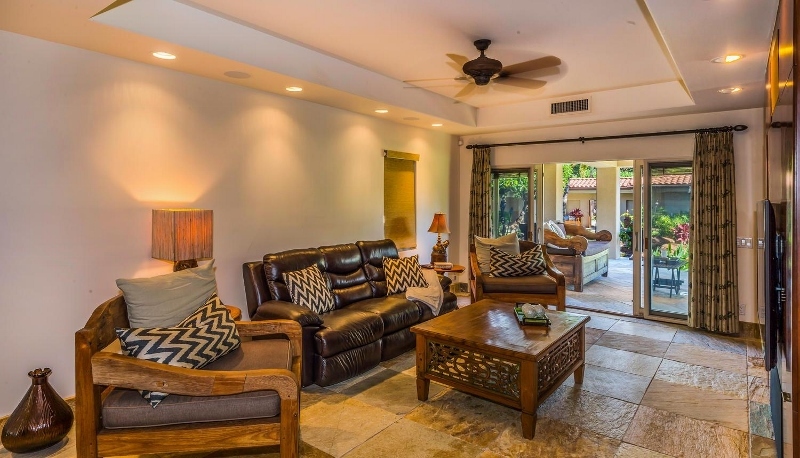 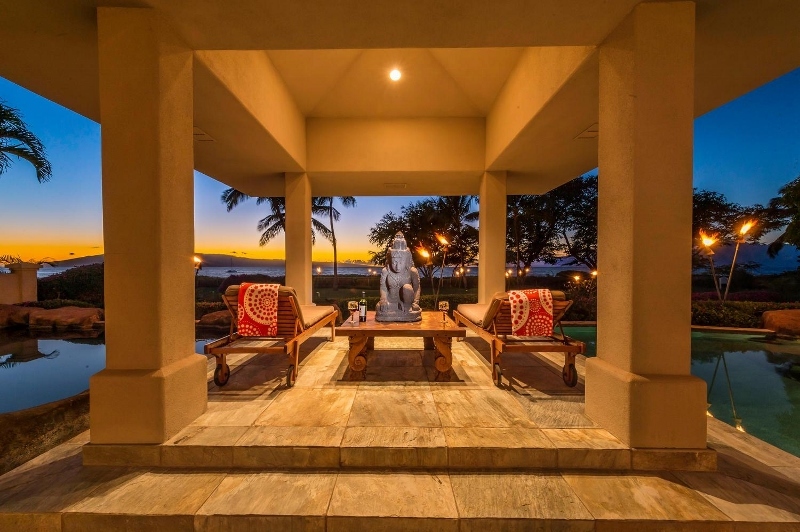 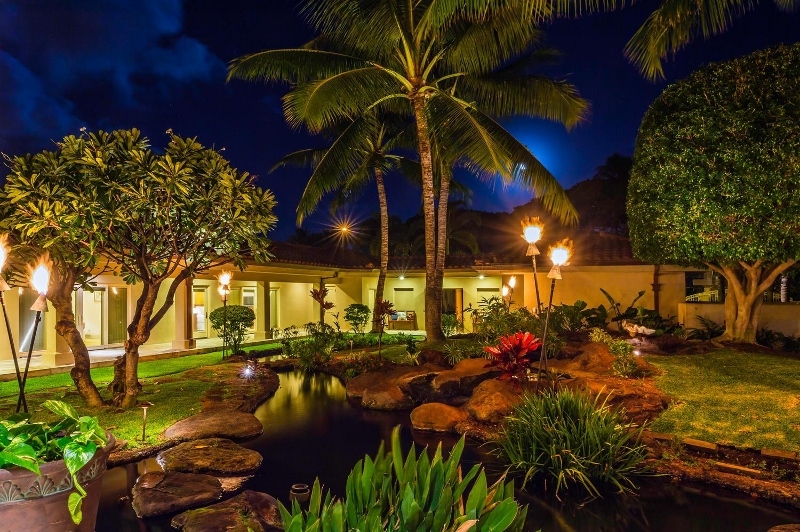 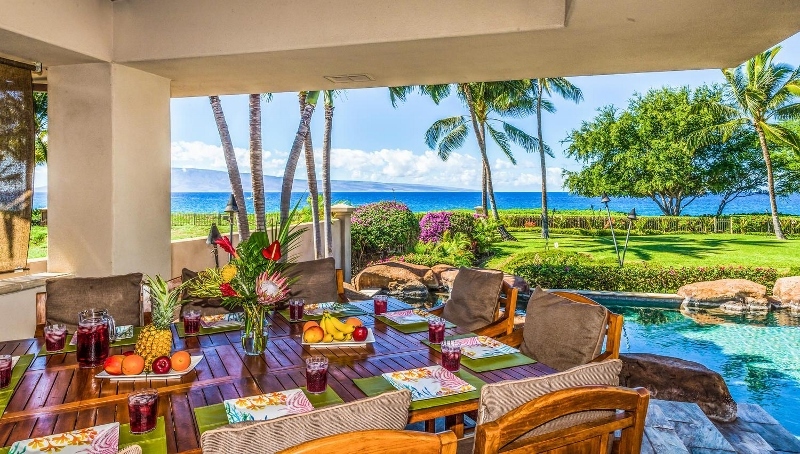 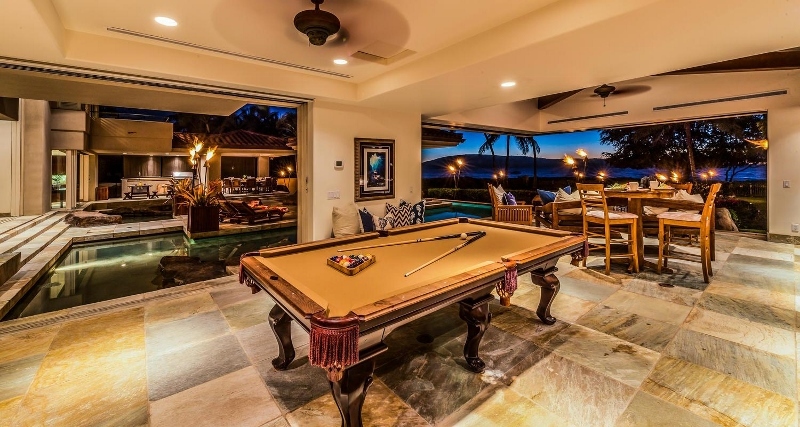 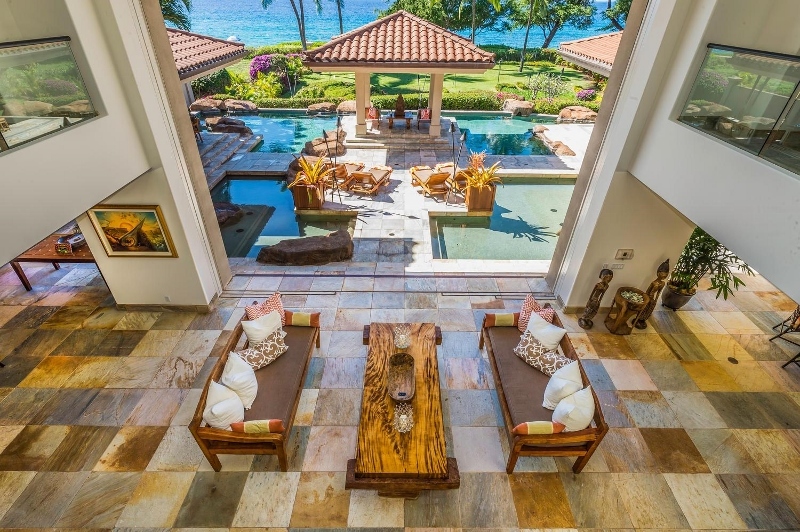 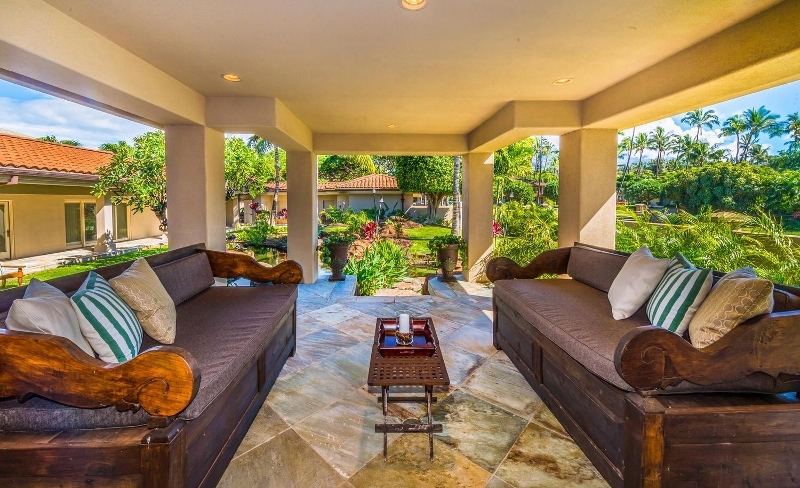 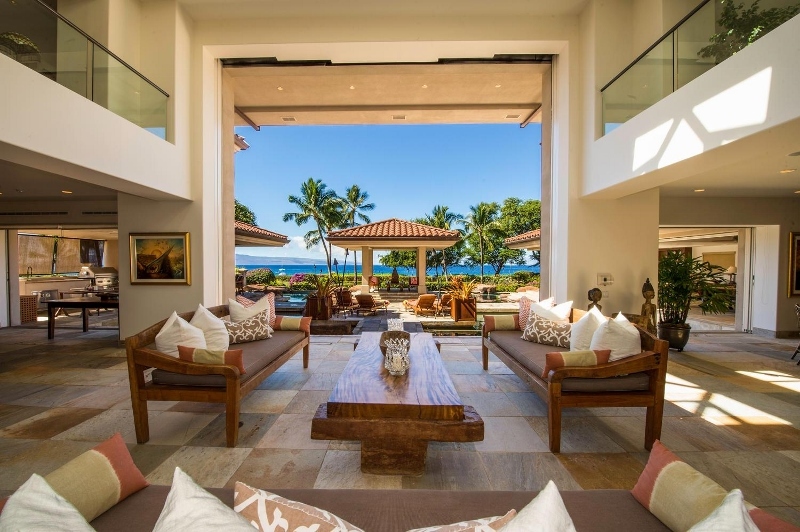 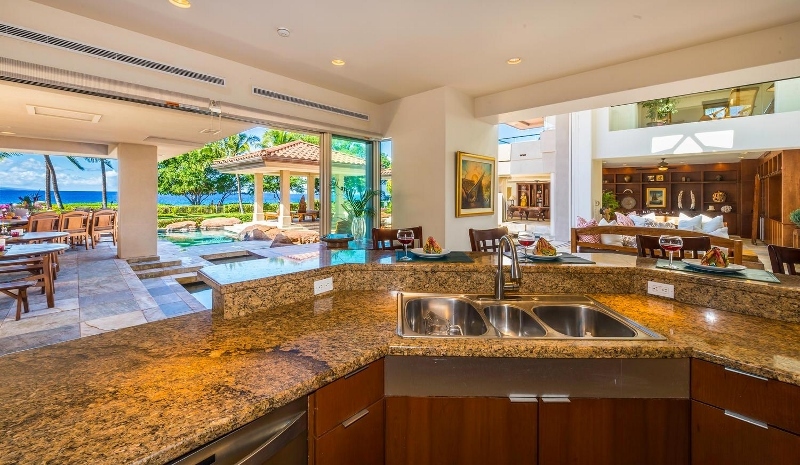 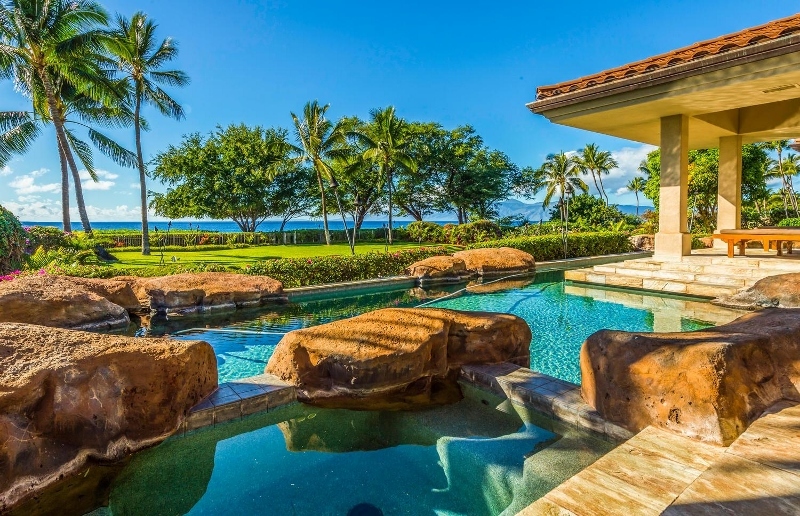 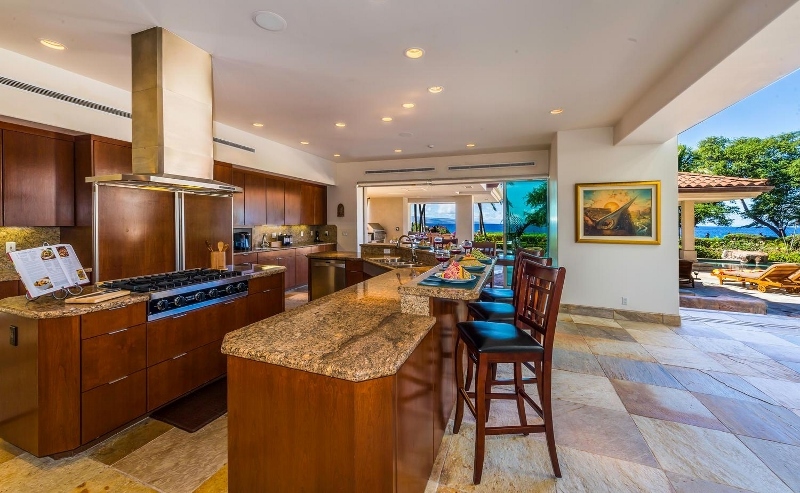 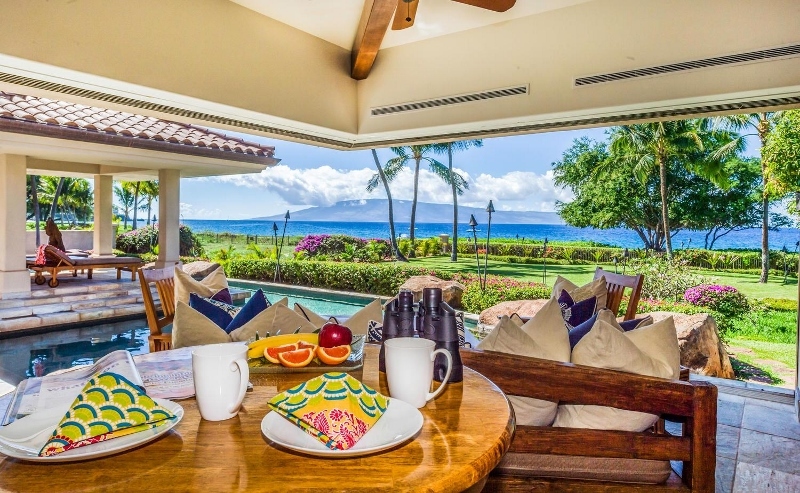 This exquisite estate is a dramatic contemporary styled 8 bedroom 10 bath palatial private retreat-like residence on Maui’s famous golden sand Ka`anapali Beach. 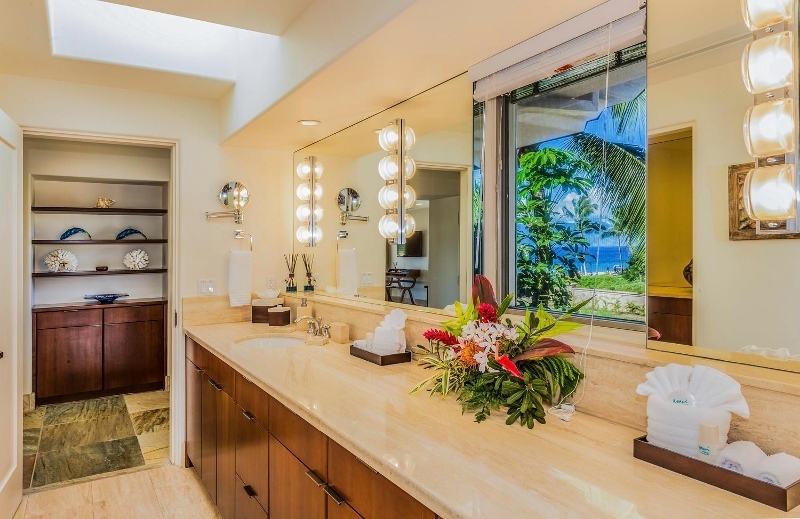 The Kai Ala Estate encompasses more than 11,000 square feet of spacious living space on a full acre of superb beach front property as well as tasteful exotic Asian décor which creates a serene and calm living environment. 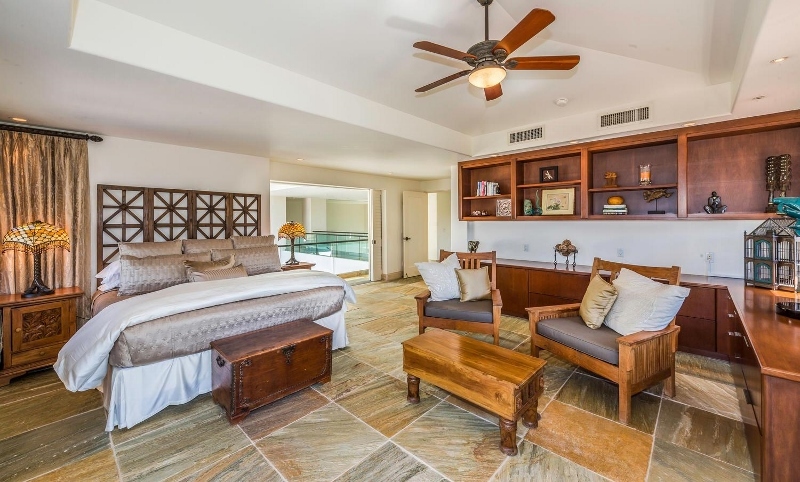 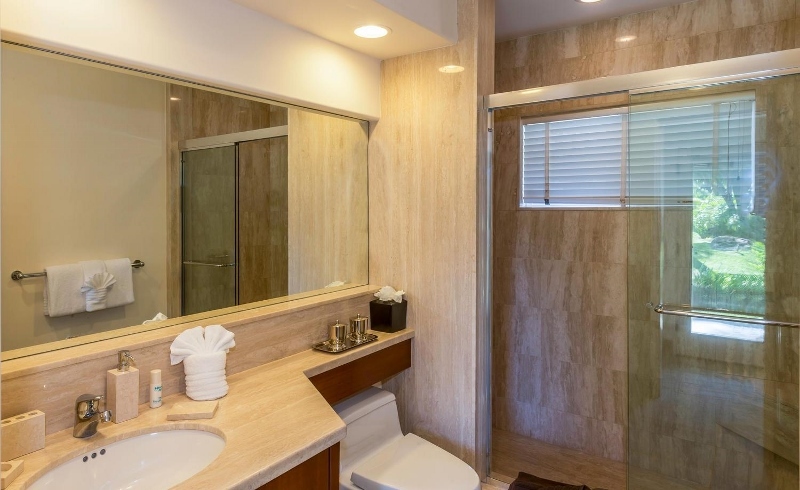 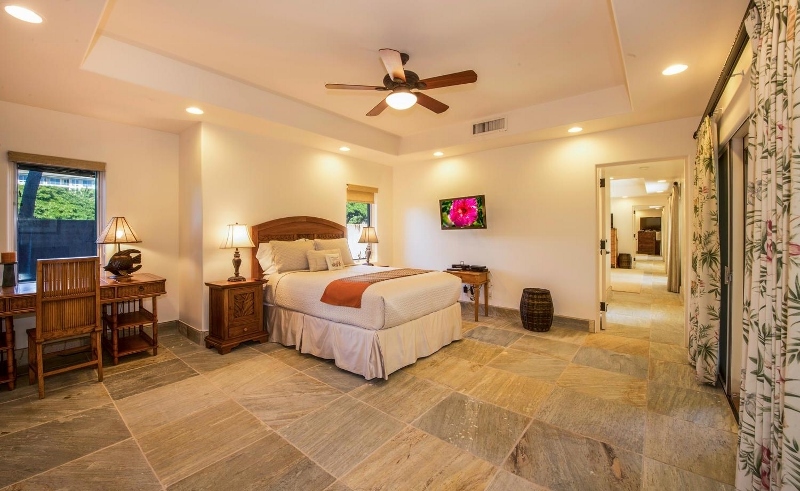 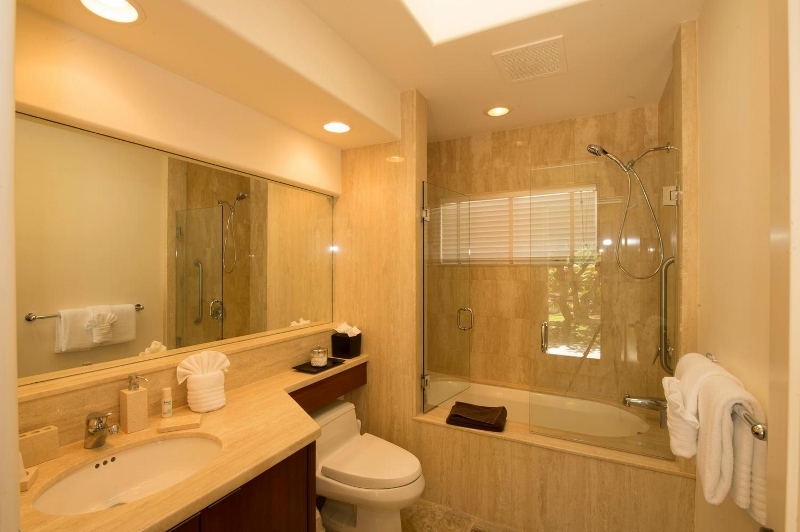 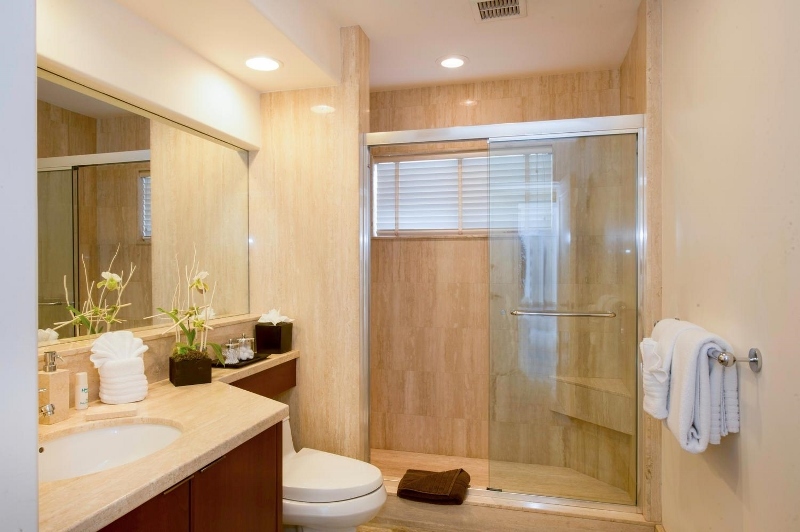 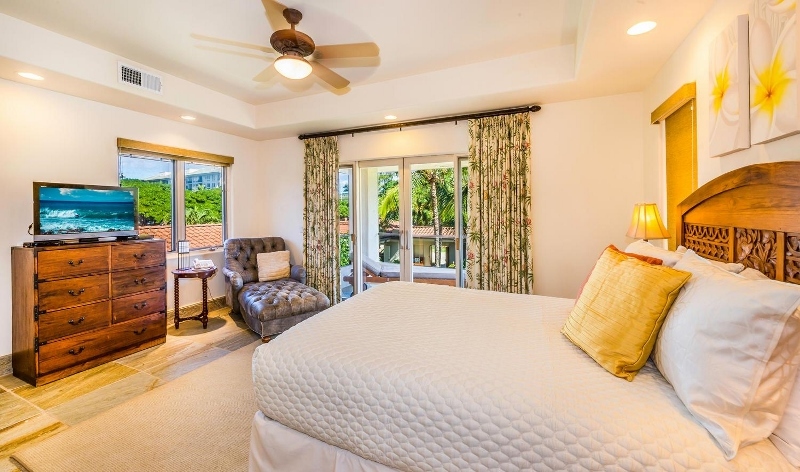 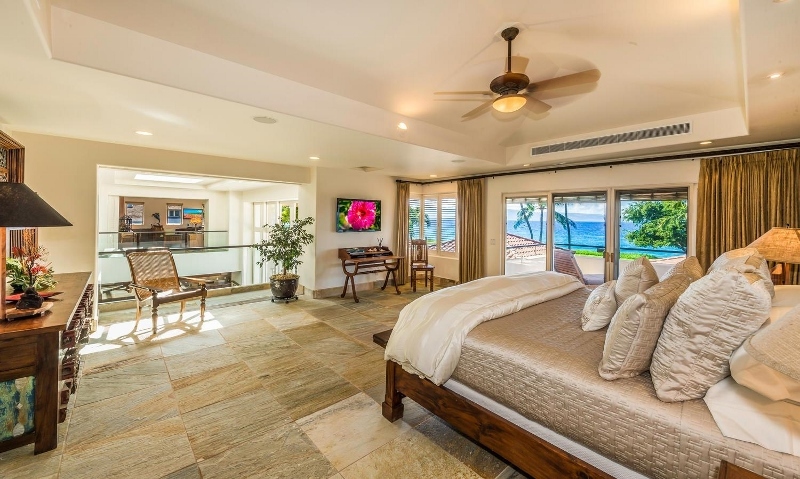 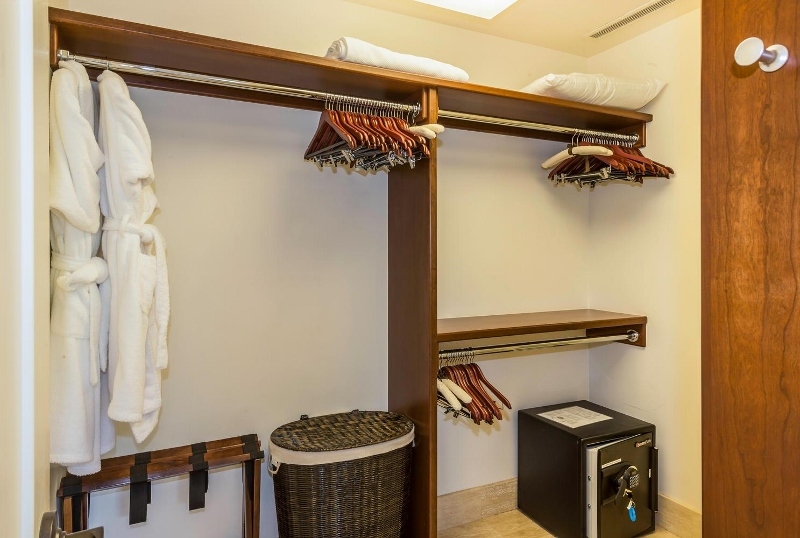 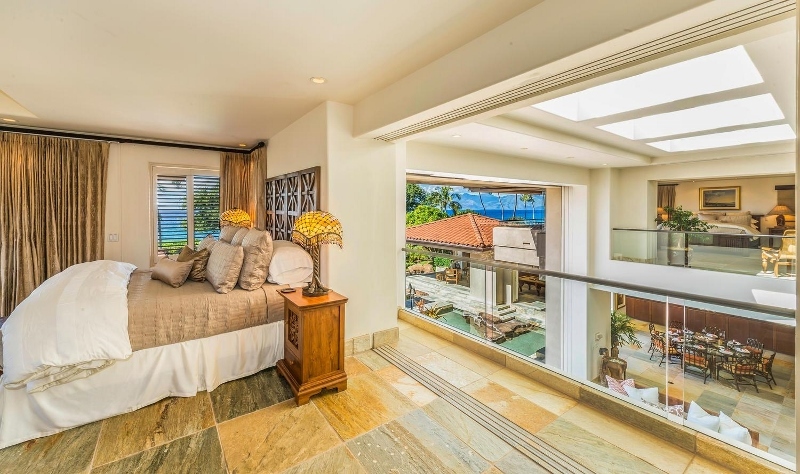 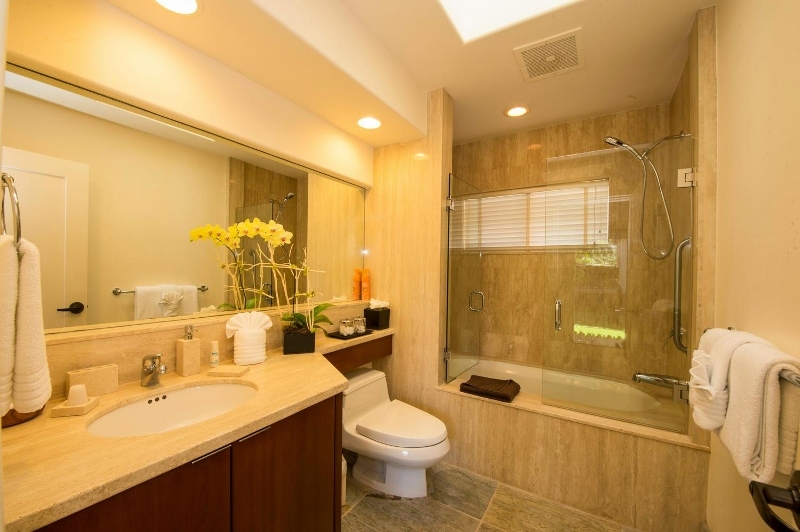 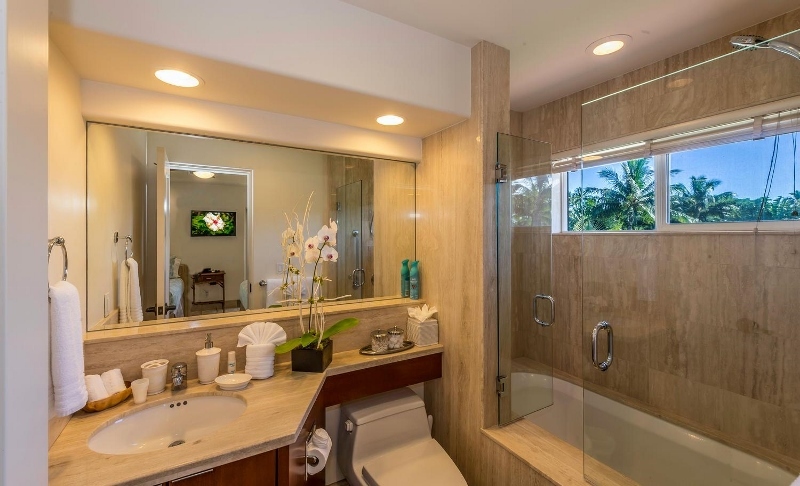 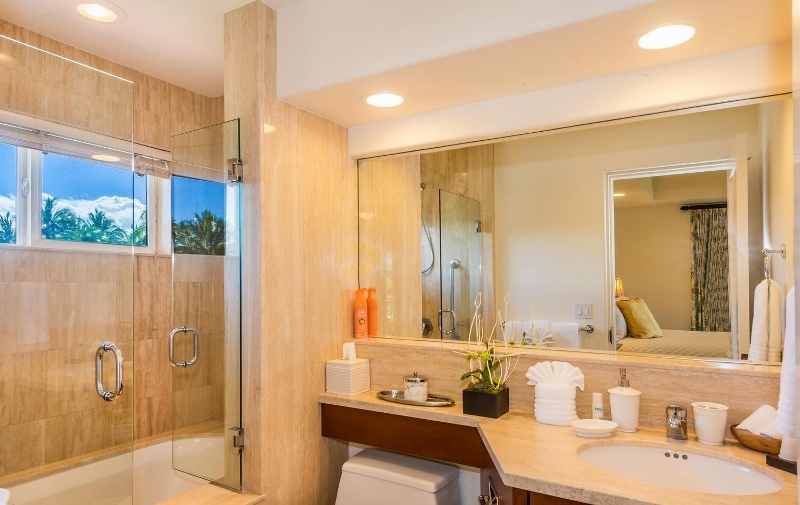 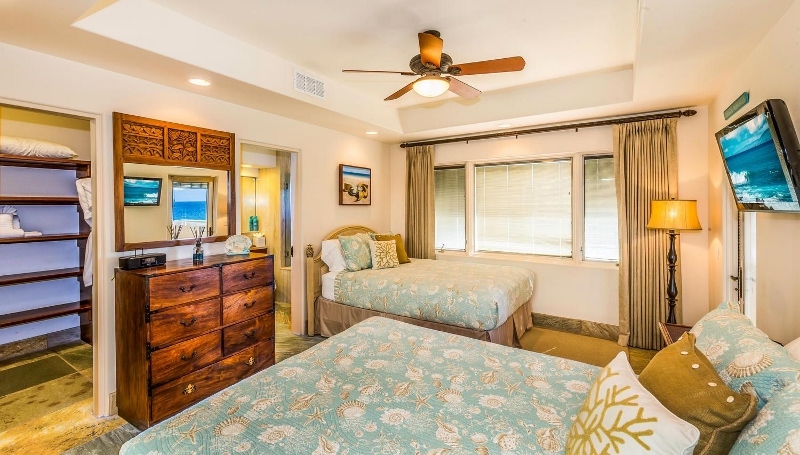 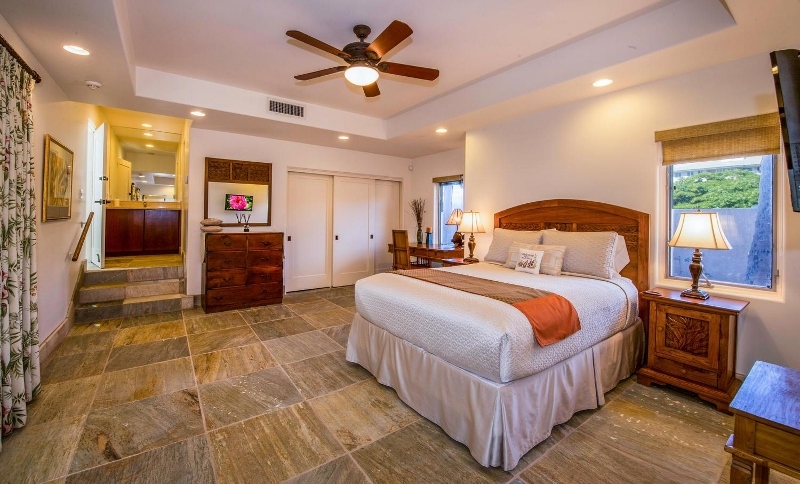 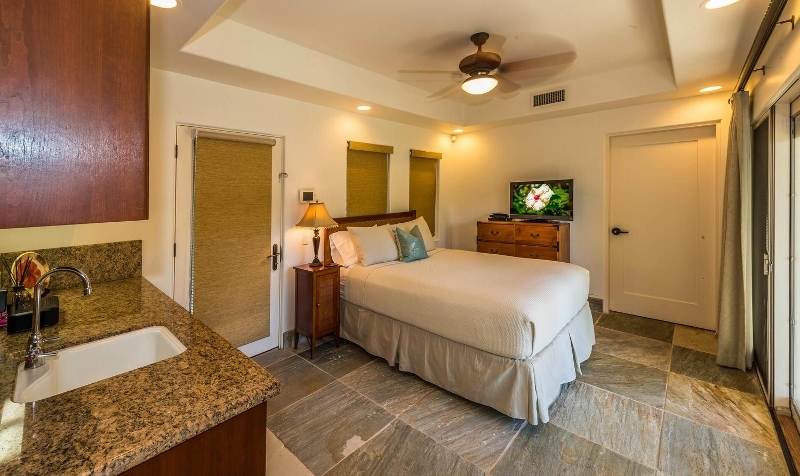 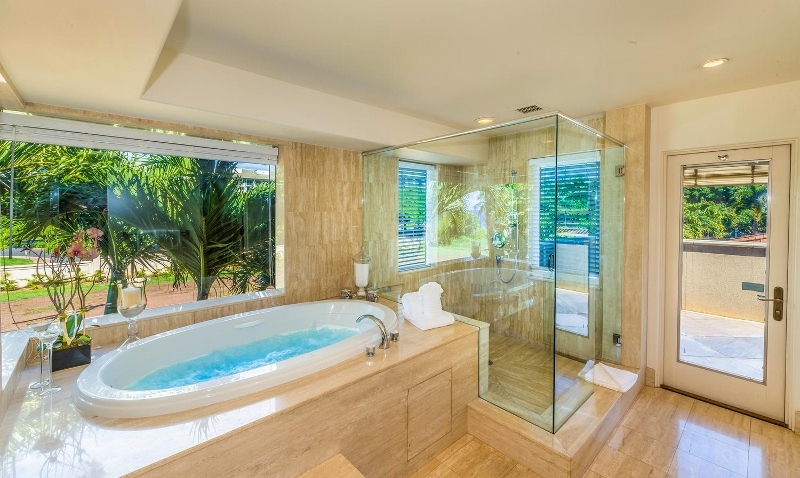 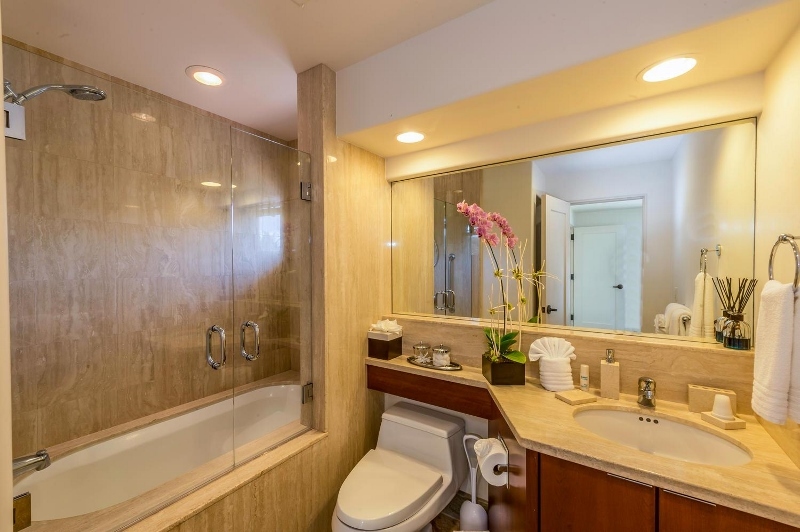 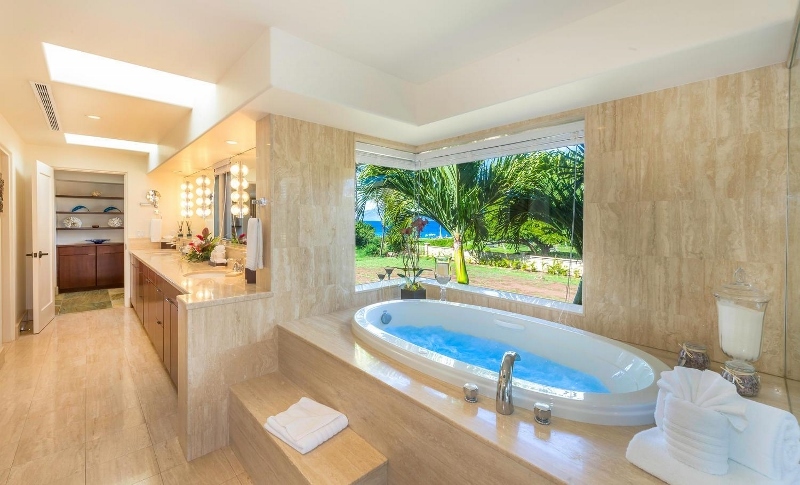 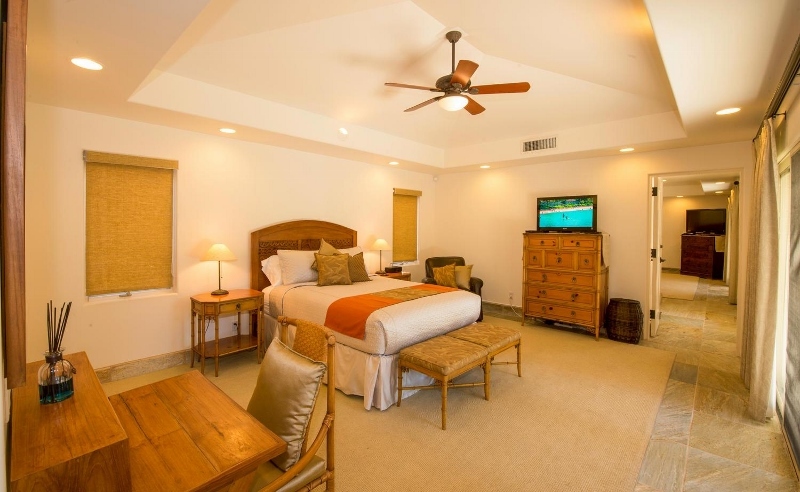 Within each bedroom is an individual climate control panel, a private bath with either marble shower or large deep soaking tub and a sunning lanai or direct access outdoors to the courtyard. 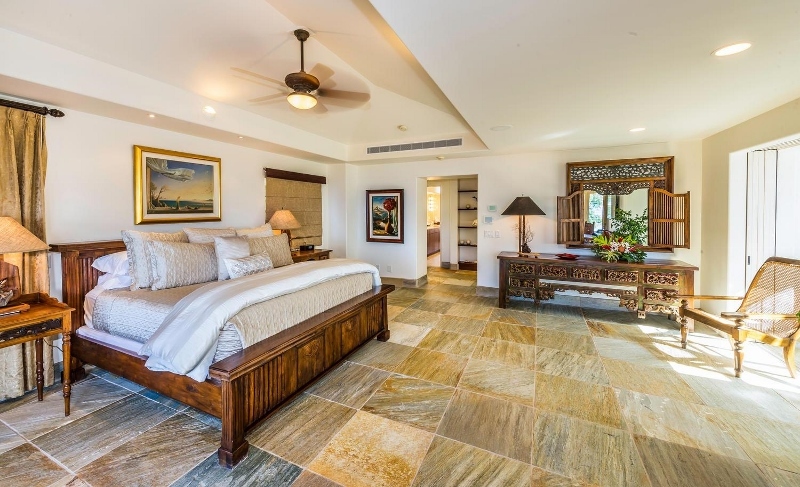 The estate is comprised of natural stone floors, handsome mahogany tone cabinetry, flowing streams and ponds, tropical watercolor artwork, marble floors and counters, sweeping floor to ceiling glass pocket and screen doors, and plentiful fine quality bed and bath linens. 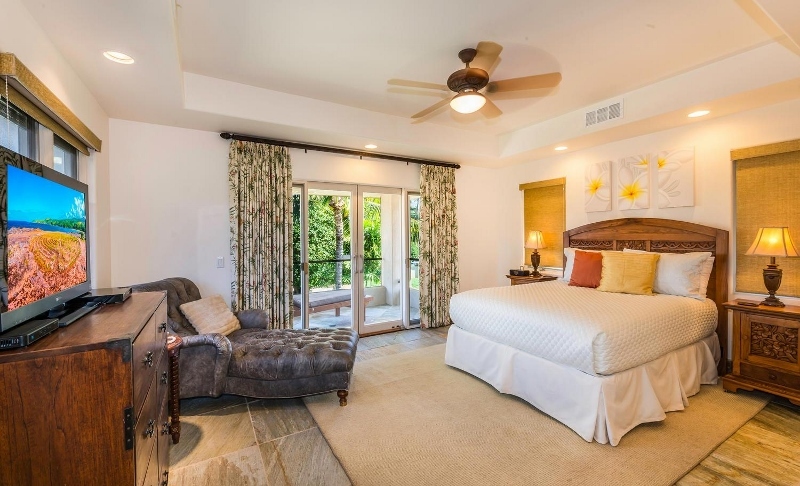 There are abundant amenities provided within the estate including a heated lap pool, outdoor spa, children’s pool, high speed wireless internet service, central air conditioning, Chinese garden courtyard for private sunning, private gym, billiard table, expansive library/study room with gas fireplace, wide screen TV room with Blu-Ray DVD, massage table, gourmet fully equipped kitchen, yoga pavilion for stretching and meditating, and outdoor dining for 16! 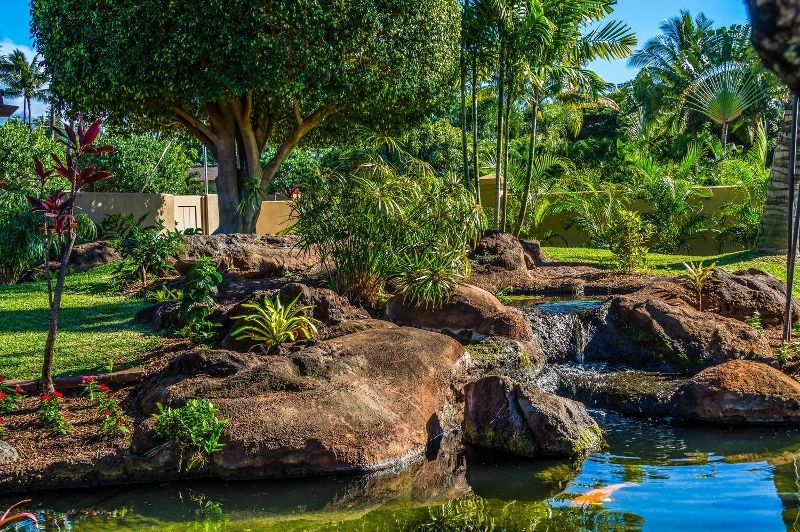 The swimming pool, spa and the reflecting pools and ponds are not fenced or covered and are a risk factor that should be considered by guests with small children. 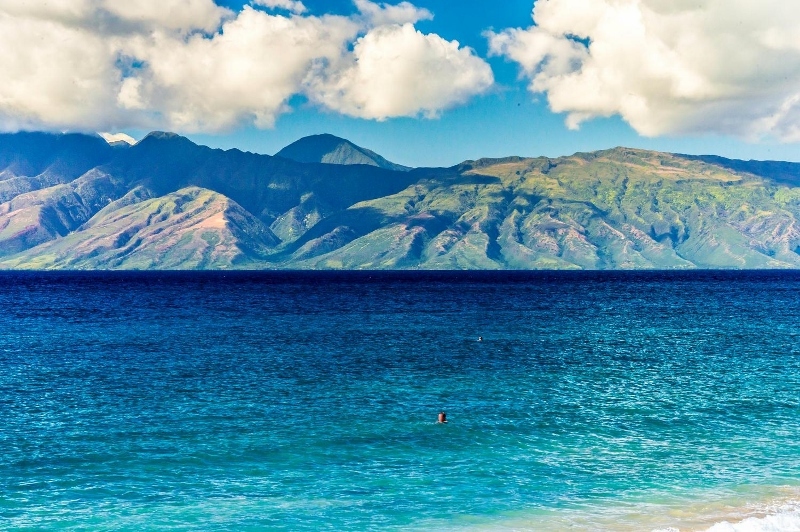 A lifeguard is not provided. 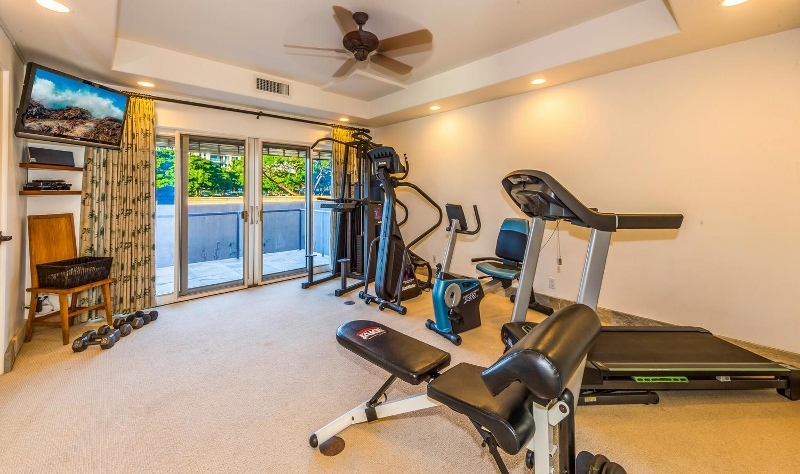 House is not child proof. 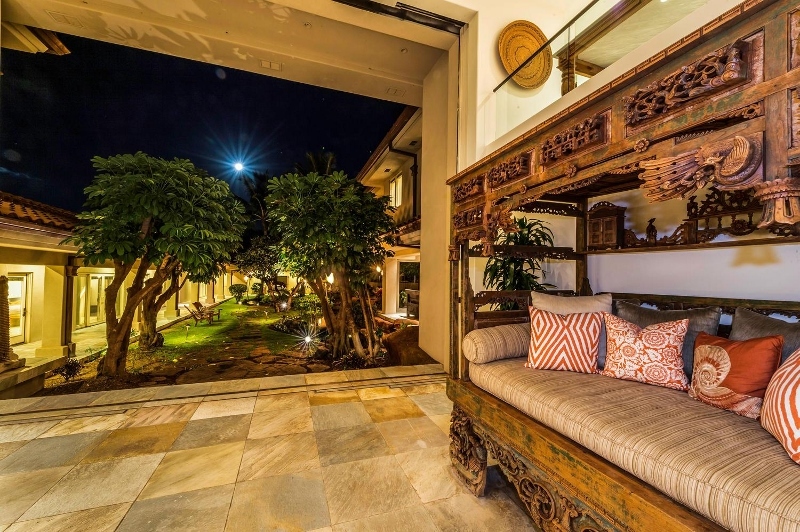 Toot of the Sugar Cane Train may be audible if the villa is open and air conditioning is not running. 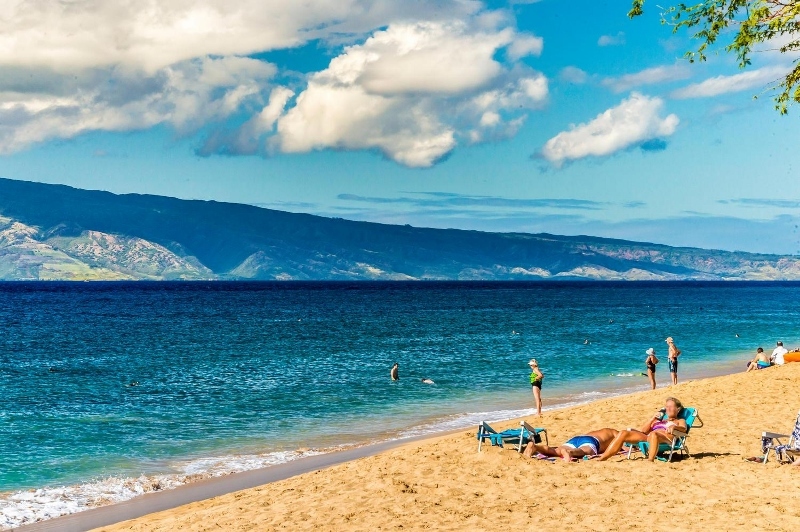 There is a public beach park located approximately 2 lots away, near the resort, which does get used for family gatherings and BBQs so some noise may be heard from there. 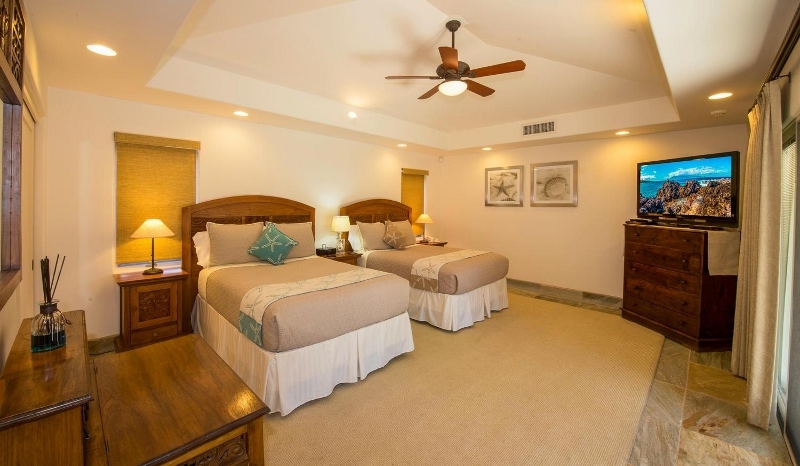 Please note that the presence of any construction-related noise in the surrounding neighborhood or resort areas during guest occupancy will not void or negate a rental agreement nor serve as grounds for claims for refund. 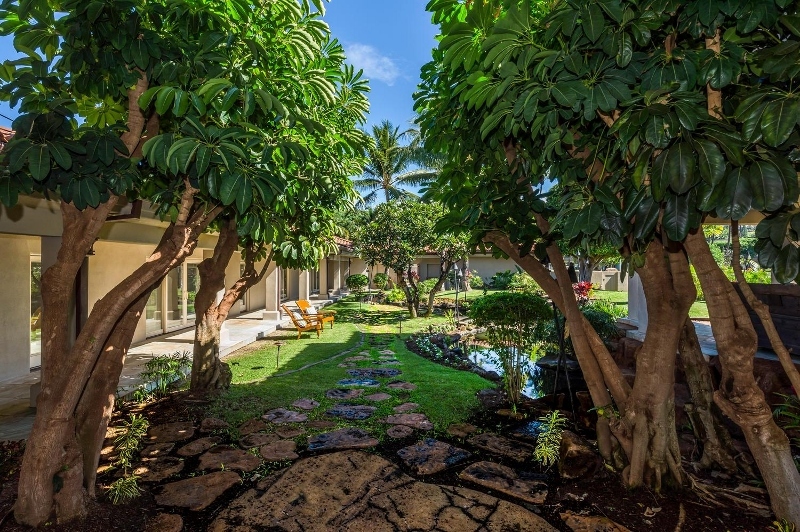 The public may be seen walking along a beach pathway which fronts the property, although as presently landscaped there is good privacy. 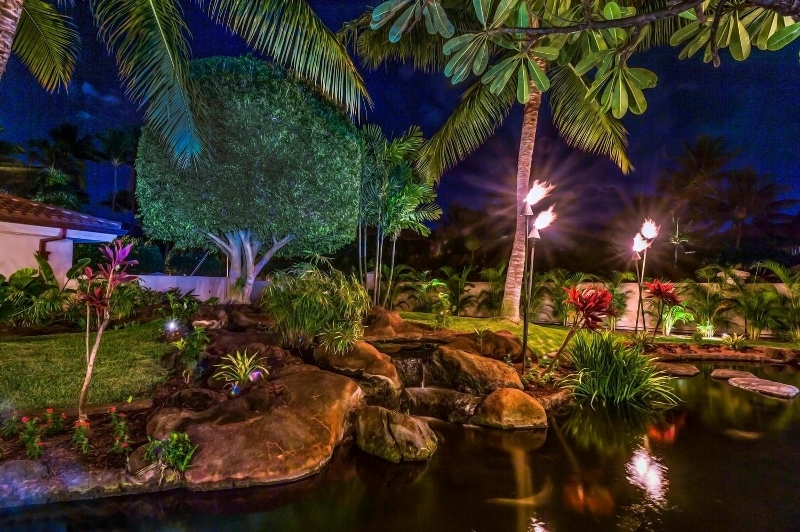 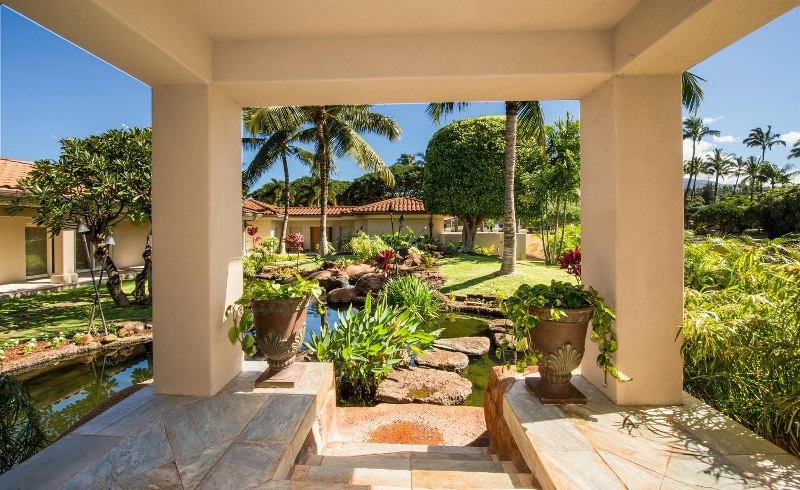 As is true throughout Hawaii, the beach and shoreline in front of the property is public.